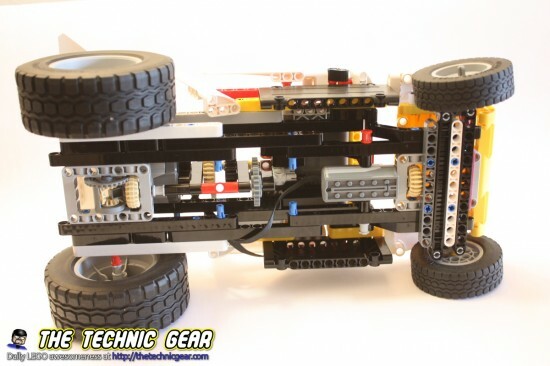 My first try with LEGO Technic on my own. This buggy works with one XL Motor for moving and a M Motor for steering both of them controlled with an IR Remote. 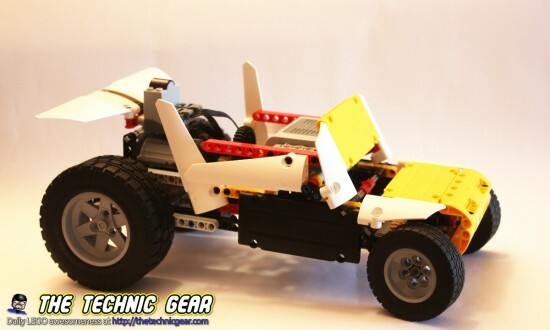 Not bad… not bad… barely ten Technic sets and one year later here it is my first RC Technic LEGO car. I was taking apart some of the robots that I have built this weekend when I decided that I could try to build a car. I can do LEGO stuff but when it comes to Technic I had ( and still have ) problems creating things because I can’t manage to find the correct part to connect beams the way I want ( I need to build more ). So it was for me more a challenge than any other thing. So a few hours later and after taking some parts from my trains and from the 4×4 Crawler I created this. After the first try I realized that the car was way too slow, and I was using the XL-Motor… so I decided to add a gear train… and after a while placing and replacing gears ( so hard to match them ) I came with this. This is the car bottom part. And here is a video of how it performs. As I said it is my first Technic MOC. 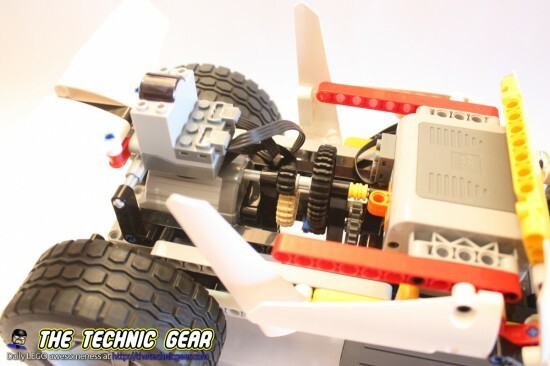 If you enjoy building Technic, get the Unofficial Technic Builder’s Guide by Sariel (www.sariel.pl). Reading the guide has greatly improved my Technic skills. Before getting the guide, I built this:http://imgur.com/a/vn0IX#0. After getting the guide, I built this: http://imgur.com/a/AKA3F. I read it a few months ago… and I am re-reading now with beams and pegs in front of me to try the ideas. I should review it. It is awesome how much evolved the car. Really good work. Looks good. To increase performance, look at integrating the servo motor, now that it’s available without buying a full set. The return to center on it made performance much better. 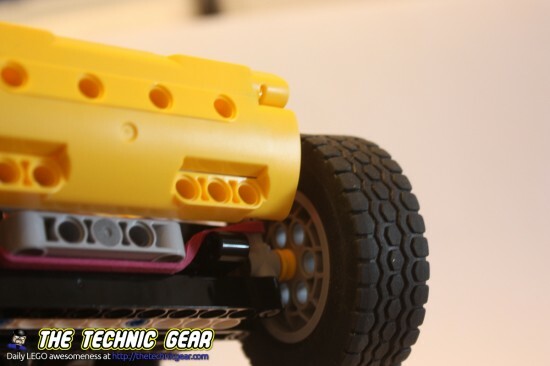 It also allowed me to build a more complicated front suspension with shock absorbers. 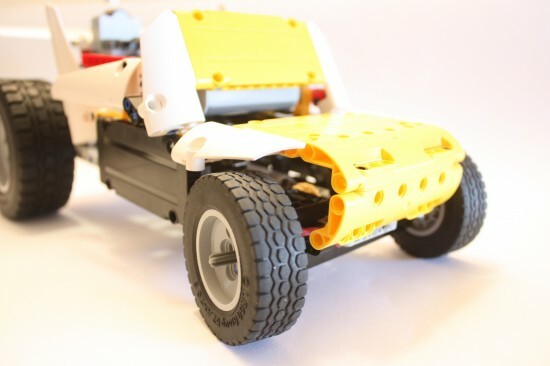 I have ordered another one from lego because the one that I have is used on the 4×4 Crawler and I really don’t want to take it apart.